Quality Dental Care offers a relaxed atmosphere in which all your dental needs can be met. From preventative to restorative to cosmetic and everything in-between, there are few dental service requests that we cannot accommodate. Each of our services is personalized to meet each patient’s unique smile needs. With our amazing staff you can be assured that the smile you have always dreamed of is obtainable. 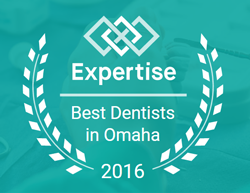 Below are just some of the many procedures and services we regularly provide to our Omaha area patients. If you have any questions about our services, feel free to call us at our office. We look forward to providing you with the personal care you deserve.